I pray that my next entry does not reek of the undertones of desperation. Being divorced and a single mother of three at the ripe age of thirty-two was never one of my life goals. Now that I stand two years strong in the midst of both, I must embrace it with open arms while strategically making my best attempt at conquering the dating game. The art of dating can be a daunting task. However, dating as a black woman brings about an entirely new challenge. Imagine, if you will, a casserole. Imagine the ingredients of that casserole being a black woman, three children, and living in a foreign country. Now pour in dating as the final ingredient of the casserole. Mix/stir well, pour into the bowl of life and we have what can only be defined as an adventure of discovery. This dish requires me to filter through the meaningless “get to know you” chatter, while simultaneously attempting to cultivate some worthwhile relationship in this “revolving door of a world I live in”. As a side dish of this dating casserole, add football practice and Parent/Teacher conferences. (Imagine: Pull out a red cape and put the S on my chest; que superhero theme music). At times, this thought alone fatigues me. Should I write a paragraph on this topic? Of course I should! Any person of the female persuasion can attest to the utter frustration that comes along with the Dating Game. We approach this game/adventure from almost every imaginable angle. We yearn to find the perfect roadmap that will lead us to our happily ever after, whether imagined or not. So much so, that we are now seeking advice from men to show us how to get and keep a man. Men have become best selling authors by writing books and articles like Steve Harvey’s, “Act Like a Lady, Think Like a Man“. These reads refer women to how long we should hold out before giving up the goodies or how many days we should wait before returning his text messages. These relationship bibles are changing the aspect of how we view the nature of dating. Maybe it’s just me, but it seems like dating isn’t about chemistry anymore. Dating now consists of arduous dating formulas that require exact calculations to derive at the ultimate relationship goal. This journey has made me realize that when you have children, dating can be really far down on the bottom of your priority list. Example: If a suitable man peaks my interest enough; somewhere between being Super Mom and playing nomad, I may make time to slap on some foundation, paint my lips, and apply mascara and sip a venti mocha with him. Please understand that if I make myself available to you, you need make every minute with me worth my while. Yes, I said it and I’m not taking it back. I mean it. I’m worth it. As a single mother, I, like many others, have no time for the bull that’s labeled as games. Within the first twenty sips of my venti mocha with you, I need to have established your relationship goals . Simply put, are you dating just to date? Do you have commitment issues that could hinder our possible progress? Are you looking for marriage to be the eventual end result of your quest? Do you like children? Do you have children? How many baby mothers do you have? Do you like to travel? Do you have a passport? If so, have you used your passport? Do you have a job? What are your goals? Can you afford to support an additional four humans if this pans out to be something? These are just a few samples of the questions I need to have answered. You can believe I have many more. Let’s not beat around the bush. Let’s cut the crap and get straight to business. We all are grown individuals. Real Talk! I will admit it; I understand the thought of dating someone with three children can be overwhelming. A potential suitor telling me he has three children will get a side eye from me as well and a note of reluctance. Look, I’m not trying to create a modern day Brady Bunch type family. The thought of 4 Deep turning into 8 Deep overnight seriously frightens me to my soul. 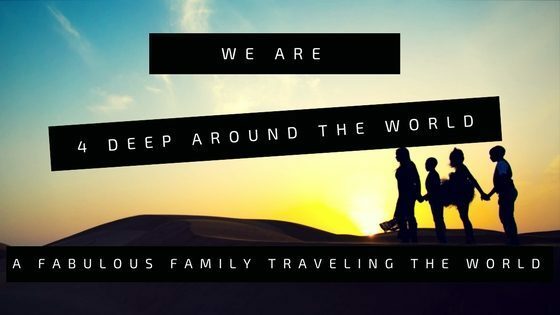 My nomad mind turns on and I begin thinking about the cost of eight plane tickets to Europe for a family vacation or if I would be able to locate an Air BnB to accommodate such a large family. I just gave myself a headache at the mere thought of this scenario. Goodness! Let’s just be honest; let’s just be real (in my Dej Loaf voice). I give anyone consent to cast judgment my way if it so pleases you at this point. I am all about transparency. When the expatriate community you live in is a revolving door it makes it almost impossible to hone a stable dating relationship. How long do you see yourself staying here has become a question of necessity for me. I see no need for me to entertain someone and possibly fall in love with him if they only see themselves in the same country as me for the next six to twelve months. I don’t implement the “We will cross that bridge when we get there” mentality when it comes to love. What happens if I come across Mr. Right and he’s not from America? What if he is anticipating eventually moving back to his home country? What if he is a foreigner who just wants to date me and eventually marry me for the benefits of my blue passport? I know this sounds shallow, but it’s all too real. What if we don’t practice the same religion? What if his English is not as great as our chemistry? Do I want to be in my English Language Learner teacher mode all the time while trying to have a conversation of a simplistic nature with someone I have amazing chemistry with? Do I want to learn his language? I won’t lie, being single as an expatriate can put you in a great place if you play your cards right. You have access to a new breed of well-traveled and educated classic men. This dating game can be too much for me at times. Some days I just want to throw in the towel in this love game. Sometimes I momentarily think that love is for suckers and those that say they are in love are actually only attracted to the ideology of love. But then, I scroll through my Facebook and see couples that appear to be happily in love accompanied by beautiful dreamy engagement videos. Albeit, social media is probably the last place I should seek attestation to the existence of love. Social media is so bipolar that within a two-minute scroll, my refreshed spirit is broken as I read the words of yet another scorned lover authoring a F love and F him/her post. I am just a torn and broken, hopeless romantic who attempts to hold strong to the idea of finding the one and falling madly in love. T, do you really ask someone ALL those questions in the first meeting? Nah. But I feel you- let me know where you stand from jump. 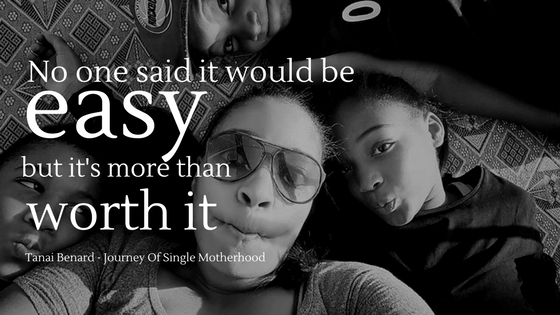 I’m not a mother….just single….but at an age where I have no time to play games. I come out guns blazing asking the pertinent questions because the last thing I need or want is to waste another moment of my life on someone who has no intentions on taking it any further. Love the blog!